In response to this tagline, one might ask: Why organize a show on translation within such a pedagogical context? The Center—an initiative of both the Museum’s Education Department and partner organization Dar al-Ma’mûn—began when my colleague Alicia Ritson and I reached out to Omar Berrada to learn more about his work as a translator, supporting translation and education efforts through Dar al-Ma’mûn’s unique residency programs for artists and writers to work together on one text, a lending library (where there are few), community readings, screenings, and literacy workshops. Notably, the Center‘s activities, while drawing from these structures, was conceived alongside “Here and Elsewhere,” the Museum’s exhibition of art from and about the Arab world. The Center’s activities look specifically at the translator’s role—with the complexity of her or his individual and institutional networks, impetuses, and desires—as integral to creating social, cultural, or political meaning in history. 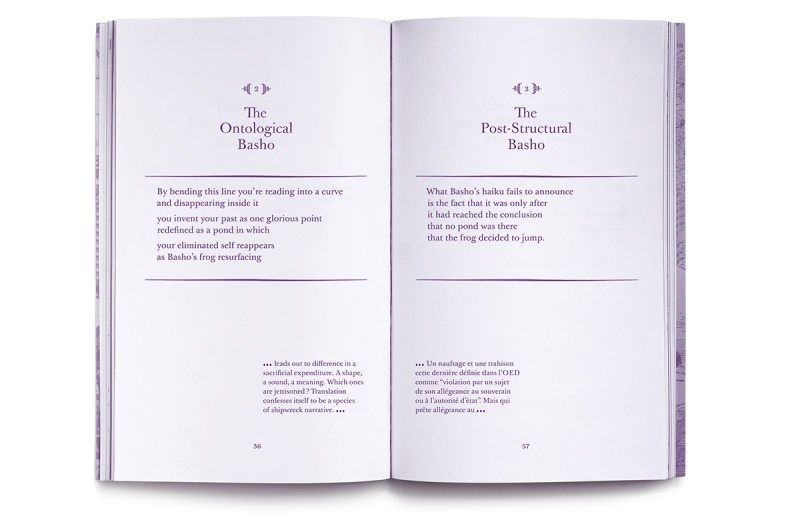 With a focus on the inevitable lack in translation, going beyond the old binary of source and target, the thinking was there is much to be learned via contemporary translation discourse and methodologies about how to recognize the “here” in relation to the “elsewhere” in acts of speech, philosophy, writing, and visual art. Furthermore, as curators, educators, and researchers working within the context of art organizations, whether drafting interpretive wall texts or executing tours and walkthroughs, we contribute acts of translation as a part of our daily work in the field. Finally, as humans and global citizens in today’s information-based societies, small and large acts of translation come into play with frequent consistency, be it through deciphering the media around us or Google translating a foreign-language website. The three-part series “Translation is Impossible. Let’s do it!” will unfold on Six Degrees this fall and winter. 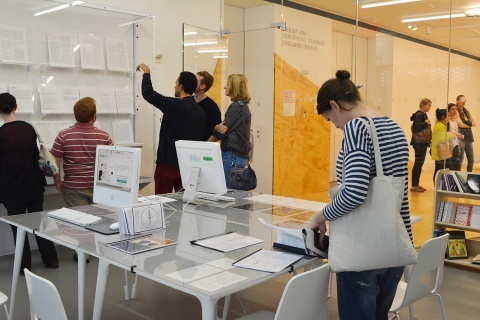 In Part 1 of the series, three texts emerging from the projects that were on display in the Center will be published. An active space that facilitated the translations of select art and philosophy texts, Six Degrees will also publish a collection of translated texts initiated and supported during the run of the Center. Several translators in residence were invited to work simultaneously on two texts, and the four resulting translations will be published in Part 2; others were encouraged to participate in a modest experiment in facilitating collective translations of contemporary art texts using the online multilingual platform TLHUB, which will be published in Part 3. First, in October, writer Joshua Craze has been developing a system of rules from visual and syntactic elements of redacted declassified United States military documents and displayed these grammatical categories and source documents in his contribution to the Center, A Grammar of Redaction (2010–ongoing). Grammar outlines the ways in which certain information is distorted through the process of making documents available to the public. An excerpt of his forthcoming novel Redacted Mind, which builds on this research in the form of fictional narrative, will be published on Six Degrees, and embedded within it are some redacted documents from the archive Craze has been working with. Last in Part 1 of this series, we will publish “Towards a Modern Greek Lexicon of Untranslatables: On the Syncretic Language of European Philosophy” by philosopher and translator Alexandra Lianeri. Lianeri is one of the editors embarking on a Greek edition of the Vocabulaire européen des philosophies: Dictionnaire des intraduisibles [European Vocabulary of Philosophies: Dictionary of Untranslatables] (Paris: Seuil/Le Robert, 2004), an encyclopedic dictionary of philosophical, literary, and political terms that defy translation from one language and culture to another. Edited by French philologist and philosopher Barbara Cassin (with contributions by numerous others), Vocabulaire resulted from the labor of over 150 international scholars and language specialists and considered the history of philosophy through the lens of “untranslatables.” Edits, correspondences, and select entries surrounding an English-language version, Dictionary of Untranslatables (Princeton: Princeton, 2014), were presented in the Center, alongside entries from current and forthcoming editions in other languages (select Arabic, Brazilian, Romanian, Spanish, and Ukrainian entries were made available). As Cassin specified in her preface to the Dictionary, an “untranslatable” is not a term that cannot be translated but “is rather what one keeps on (not) translating.” Lianeri’s essay was commissioned around a forthcoming volume dedicated to the collective project of translating the Vocabulaire into numerous languages and a Greek version; in this essay, she addresses how translation is a “historically specific site mediating the diversified and antagonistic routes of philosophizing in European languages” in relation to ancient and modern Greek philosophy and language. For part 2 of the series, two texts were selected by Alicia, Omar, and myself to be translated by translators in residence: First, “Fi mir’at al-akhar” [In the mirror of the other], an essay on translation by Moroccan philosopher Abdessalam Benabdelali, was translated from Arabic into English by writer and translator Samuel Wilder and also went through another more experimental process of linguistic transformation by poet and translator Christian Hawkey. A short essay from Benabdelali’s book Fi al-Tarjama [Of Translation], which presents philosophical reflections on translation by turning received ideas on their head, “Fi mir’at al-akhar” is a chapter that looks at the relation between languages in contexts of cultural imbalance. It focuses on the status of translation in Arabic culture in the medieval period when it was one of the world’s dominant cultures and, as a contrast, in our contemporary moment in which this culture is less cohesive and more dispersed. This is the first occasion in which Benabdelali’s writing has been translated into English and both versions will be published on Six Degrees in January and February. Also selected for translation was “Saving Face,” an essay on contemporary visual culture in Beirut by Lebanese artist and writer Jalal Toufic. It was translated from English into Arabic by scholar and translator Leila Khatib Touma and from English into French by Omar. Toufic’s essay, from his book Two or Three Things I’m Dying to Tell You (2005), is an exercise in and speculation on writing about the art and politics of the Middle East. Peppered with idioms and other forms of wordplay, it focuses on the visuality of political candidate posters during recent elections in Lebanon and opens up to considerations of the face in cinema, representations of martyrs in the Lebanese public sphere, and Saddam Hussein’s appearances at his trial. More broadly, the essay argues that aesthetic innovation in Lebanon takes place more readily in everyday life than in art or literature. The publication of these two translations on Six Degrees early next year will be the first time “Saving Face” has appeared in Arabic or French. The authors and translators in residence, all of whom participated in the project virtually, were asked to contribute materials around the translation process (including email correspondences surrounding work underway and drafts), which were made available in the Center. 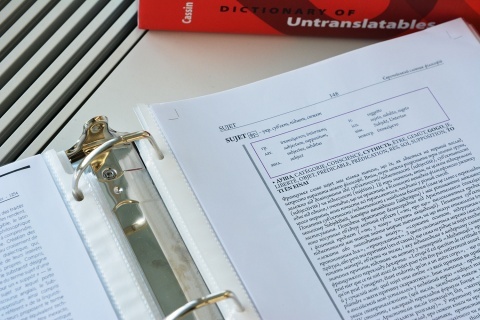 This invitation was important in fulfilling the Center’s mission to open up the process of translation; it helped to make visible conversations that are a routine but often hidden part of the translation process, to create space for the translator’s voice, and to enable the reading of one translation against another, as is a regular practice in translation workshops. Having enabled Museum visitors to encounter a variety of translation methods and ideas while translators were in residence, the new language versions of these texts will be published accompanied by short statements and notes from the translators in residence. These statements will point to particular challenges (and attendant epiphanies) they experienced when attempting to reconfigure and recontextualize meaning, to render visible the specific methods used to create equivalences (or not) across languages, or else to indicate some of the cultural and political stakes in their very acts of translating here. Lastly, for Part 3 of “Translation is Impossible. Let’s do it!,” to be published early next year, the Center has solicited a variety of texts for translation on the online multilingual platform TLHUB in partnership with a small network of organizational partners—selected for their prior support of multilingual contemporary art discourse, among them Kayfa-ta, SALT, tranzit, Videobrasil, and others. Two types of texts collectively translated by translation studies students and others will be published in multiple languages on Six Degrees late fall and into the winter: first, contemporary art criticism written by critics and artists in languages other than English and, second, key curatorial statements and other critical texts from historically valuable exhibitions or art historical events that have not been circulated widely beyond their language of origin. In this collaborative translation and publishing effort, the Center will work against the dominance of English in international contemporary art discourse. Avowedly modest in scope and tentative in nature, this initiative was conceived to provide greater access to a small set of specialized materials and was intended, in part, to learn what it might take to support a multilingual publishing platform within the Museum. Below are some of the resources and projects that were made available in the “Temporary Center for Translation” when it was open to the public. The Center housed a small, specialized resource collection intended for public use that is now available in the general publically accessible library in the Museum’s Resource Center. In artist Mariam Ghani’s The Trespassers (2010–11), a series of documents related to detention and interrogation operations as part of the US’s War on Terror are simultaneously translated into Arabic and Dari in the soundtrack. 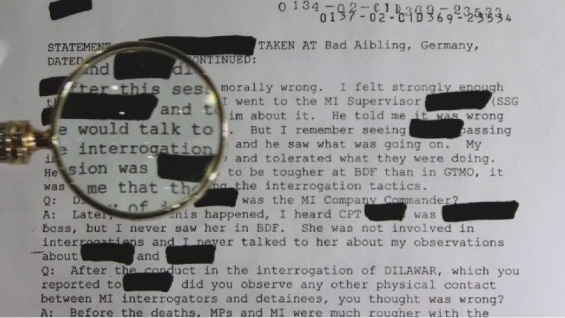 In the hour-and-forty-five-minute-long video, a magnifying glass moves back and forth across the screen to “read” these texts, highlighting the written words being translated from English. Raising poignant questions about the perceived neutrality of individual translators and translation in relation to public domain documents, the video was shown with an archive of publically available source materials including declassified government reports, memos, emails, NGO reports, media reports, legal briefs, and analyses. In the Center, edits, correspondences, and select entries surrounding an English-language version of Vocabulaire européen des philosophies: Dictionnaire des intraduisibles (2004), edited by French philologist and philosopher Barbara Cassin, were presented alongside entries from current and forthcoming editions in other languages (select Arabic, Brazilian, and Romanian entries were made available). This self-reflexive publication becomes a way of doing philosophy in that it considers each untranslatable as one concept contingent on a network of others within any given language; in turn, it investigates how these networks themselves interact across different languages. 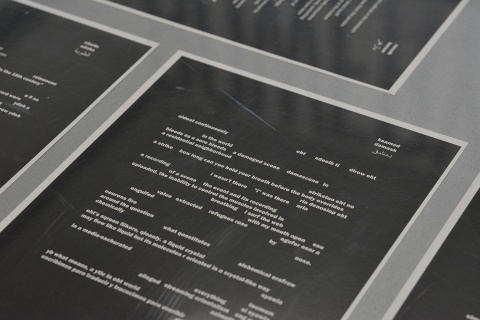 On view in the Center were selections from Expanded Translation; Or, A Treason Treatise/De la traduction étendue; un traité de trahison (2011), part of the “Manual for Treason” series, from the Sharjah Biennial 10 (2011). Editors Omar Berrada and Érik Bullot proceeded with the concept that any act of translation is fundamentally treasonous in that it involves misunderstanding and unfaithfulness, and this should incite creative joy rather than regretful melancholy. 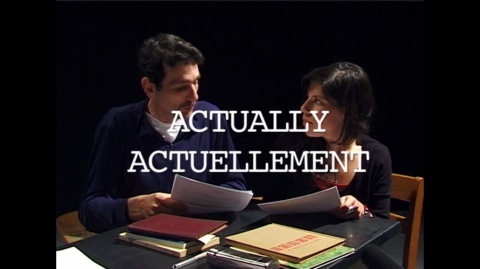 They invited contributors who are experts in visual or textual transformation (rather than professional translators) to adopt an expanded notion of translation and “betray knowingly.” With images and textual contributions in French and English, this “falsely bilingual” book—one that utilizes both languages, without making clear where one starts and the other ends—draws on doubling, mistranslation, false friends, homophonic transformations, and word-and-image conflations. Joshua Craze’s “A Grammar of Redaction” was developed from declassified military documents that included redacted verbs or subjects, or instances where the redactions give rise to new, composite sentences. 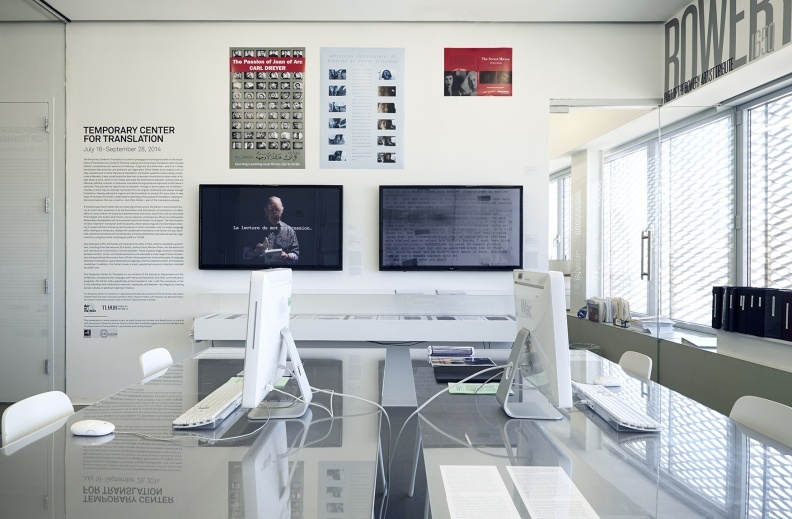 In addition to the main categories of this typology—“The Hidden City,” “Subjects without Objects,” “Actions without Words,” and “Objects without Subjects”—which were presented within the “Temporary Center for Translation,” he also made available the archive of redacted documents he worked with. Lebanese artist, filmmaker, and writer Jalal Toufic who, when citing his origins, references being the “son of an Iraqi father and a Palestinian mother,” is a key actor at the core of a group of Beiruti artists and intellectuals making critical work about political and cultural life in Lebanon. Throughout his texts and videos, Toufic’s subjects range from sleeplessness, as in Phantom Beirut: A Tribute to Ghassan Salhab (2002); distraction and aphoristic writing, as in Distracted (1991; 2nd ed., 2003); sacrificial death and martyrdom, as in The Sleep of Reason: This Blood Spilled in My Veins (2002); the dead and undead, as in : An Uneasy Essay on the Undead in Film (1993; 2nd ed., 2003); and the availability of culture and tradition in sites of continued trauma, as in his most widely cited text The Withdrawal of Tradition Past a Surpassing Disaster (2009). This concept of withdrawal—the condition of “those who are not contemporaneous with the time in which they historically live”—is located in both the vessel of meaning itself—Toufic, in the past, has intentionally abstained from writing in Arabic—as well as in his written thoughts on the concept. 1 Boris Buden, “Translation is impossible. Let’s do it!” Nov. 2006, European Institute for Progressive Cultural Policies (accessed Oct. 21, 2014). 2 While this quote originates from Omar Berrada and Érik Bullot, they are presumably drawing upon the well-known expression amongst translators, “traduttore, traditore” meaning “translator, traitor.” Expanded Translation; Or, A Treason Treatise/De la traduction étendue; un traité de trahison (2011), part of the “Manual for Treason” series, from the Sharjah Biennial 10, 2011. (accessed Oct., 11 2014). 3 Gayatri Chakravorty Spivak, “The Politics of Translation,” in Outside in the Teaching Machine (New York: Routledge, 1993), (accessed Oct. 21, 2014) 179.